I wanted a noivern but heard you weren't able to get them much farther in the game! :c Thus SpelunkerSal bred one for me and called him Treble! <3 He's got an older eggbrother named Bass, a Tyruntum, who is owned by Sal! (not related of course) and the two fight together against... other Pokemon! :D Gotta be the best! 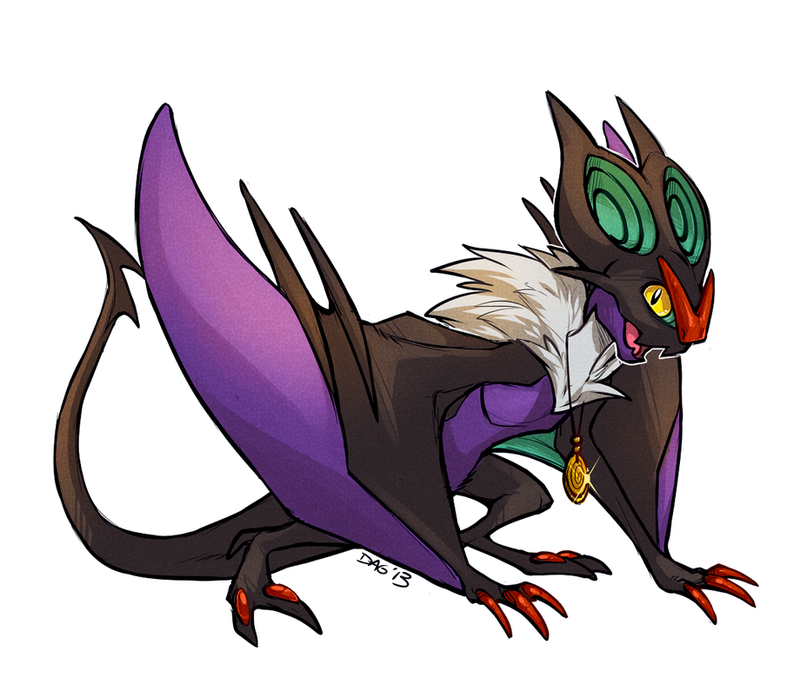 Noibat and Noivern have become my two new favorite pokemon.